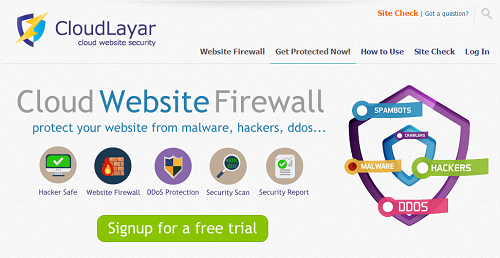 For the first time ever CloudLayar brings to you the special Cloud Website Security for you and your websites. This is the security against any type of malware attacks and DDOS protection which has become absolutely important nowadays. All these online hazards have become so common that it is impossible to find any website or even any computer system not affected by malware or any site unaffected of DDOS. The full form of DDOS is Distributed Denial of Service. Other than all the requirements it is also necessary that you have a proper optimization of the speed of your site and also for the support of various platforms. This particular application or rather online application is not only going to free your sites from the malwares but it is also going to keep you Hacker Safe. Furthermore it is going to provide firewall to your website as well and will be performing proper Security Scan and will be providing you with the detailed Security Report. Let us all describe them one by one. CloudLayar is one of the bets product against this malwares. Let us describe in details about what Malwares are. Malware, the tem is derived from MALicious softWARE hence the word malware. This particular software is basically used to refer the variety of hostile as well as the various forms of intrusive software. They are the harmful applications which at any moment can disrupt any operation of the computer system and then completely sabotage it. At times it can even be used to gain access to any sort of sensitive information from other computers or even gain access to the private computers as well. There are various forms in which it can appear. They can appear in the form of executable codes or scripts or in form of any active contents and also in forms of other software. Malware can include any type of harmful files like the computer viruses, worms or Trojans and even the ransomware along with the spyware, adware and scareware. These are the lists of the harmful application that the malware contains. By research it has been found that Trojans were the forbearer of any malware attacks other than that of the viruses. So we can easily say that the malwares are the perfect examples of computer contaminants. The experts often embed the malwares in the non-malicious files. Well you also need to remember that the term is actually applicable to those software which intentionally causes harms. There are the types of software which often cause harm due to any sort of bugs or any types of malfunctions such as poor designs. Software like these may not be termed as the malwares. The best way to deal with those software is to uninstall and then re-install it. For your information the various elements of the malwares like the spyware is often found embedded in the programmes which are often provided by the company. So the final conclusion is that Malwares are actually used to spread the viruses. 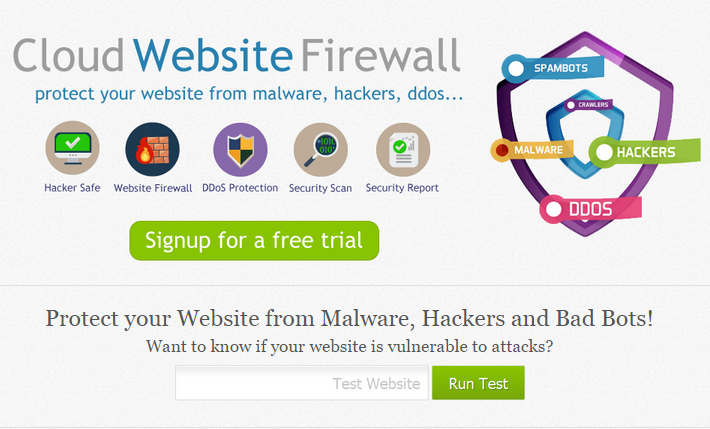 If at all your website is infected with the malwares even your online visitors may get infected too. This particular cloud website security will be blocking every single malware from accessing your website so that none of your visitors get affected and even your website remains safe. If you must know then DDOS or as it is commonly known Denial of Service or Distributed Denial of Service is actually more of an attempt to make any of the machine or any network unavailable to the users. The users who are a part of the service or who uses the service regularly do not get the access to the required services. The means of the attack of DDOS varies from person to person. Even the same case is applied to the targets of DDOS as well as the motives of the DDOS attacks. The attack is mainly carried out to interrupt the required services for an indefinite period of time or for just a temporary phase. You need to realize that these types of DDOS attacks are carried out by a pair or more than two persons. The denial of service attacks can also be sent by any bots or even any particular system. It has been found that as per the data of 2014 the very frequency of the recognized DDOS attacks have already reached the average rate of about 28 per hour. For your information the perpetrators typically target the sites or the servers that are hosted on high profile web servers. 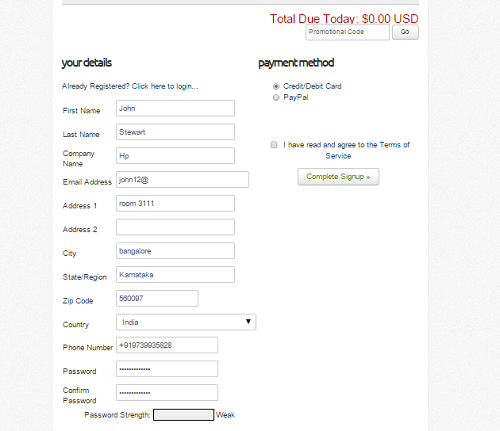 The examples include the web servers such as the banks or credit card payment gateways. It also includes the root name servers. This type of attacks is also very common to various businesses. They may often be held responsible for the website attacks as well. More importantly this type of technique is also being employed in certain games. When they are used in games they are mostly used by the server owners. They might also be used by the disgruntled competitors related to the games. Recently this type of attacks have also been used as form of resistance to other attacks as well. So if at all your website suffers any sort of online attacks such as DDoS or the SQL injections or even the XSS, CSRF and if it just runs extremely slow. You need to be very aware of its functionalities because ultimately nothing is safe in this world. So ultimately you have the Cloudlayer for you. As already been mentioned it is the new cloud based website protection which can easily look after the website attacks. It is also going to protect you from the traffic overload, effects of DDOS and is also surely going to increase the speed of your site as well using there special CDN technology. It is going to protect your site from the website attack and will be sending only the clean traffic to your sites. Even if your server faces some spike in the traffic it would act as a caching system so that your site gets rid of any server crashes and any overloads. It can also block the users from certain countries from visiting your sites as well. So once you have added your website to the cloudlayar and also have changed your domains you can be rest assured that your traffic is going to pass through the Cloudlayar first and then to your reach. You can simply comprehend it as an invisible car wash. Your users won’t even know that they have passed through the site but eventually they would be clean. Well performance is also going to be a major concern while using the security tools. But with this Cloudlayar you simply need not to worry at all. You can be rest assured that the performance of your site is going to increase and it is always going to load very fast for your visitors as well. The amazing aspect about Cloudlayar is that it already supports all your favourite platforms and there is even much to it.whether it is WordPress or Joomla or Drupal just be assured that Cloudlayar is going to support all of it. Lite which is $9 per month. Standard which is $49 per month. 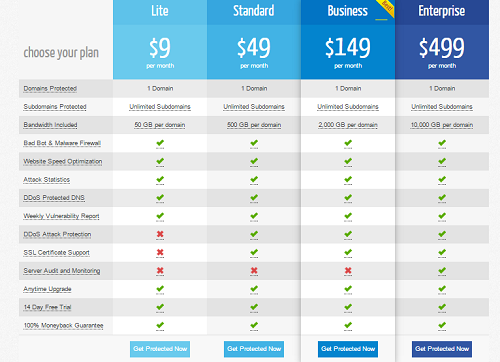 Business which is $149 per month. Enterprise which is $499 per month. Based on your establishment or your business you can go for any of the four. Just so you know DDoS attack protection is not available in the Lite subscription. Rest you can check in their site. You can even sign up a trial account by clicking on “Sign up for a free trial” and then proceed on to fill in the details that will be in the next page. Cloudlayar is basically a product of the London based server hosting company which is commonly known as the WooServers. It is basically inspired by the high server demand but low knowledge of security which is actually the most important aspect. You would be happy to know that the very Cloudlayar has more than “200-225” websites in its very own system and the number is ever increasing. So basically all websites should have a very powerful type of protection service. You can be rest assured that cloudlayar provides a stellar on. Even if you choose to go with the plain version of the cloudlayer you can be rest assured of the fact that your site is going to get the best of protection. We do encourage you to go for the plans and after subscribing you are going to be pleasantly surprised.